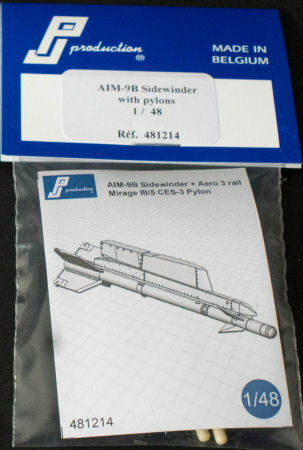 Belgium's PJ Productions has just released a nice Sidewinder set for your favorite 1/48 Mirage III/V kit. The set is cast in tan resin and features their usual finely scribed details. 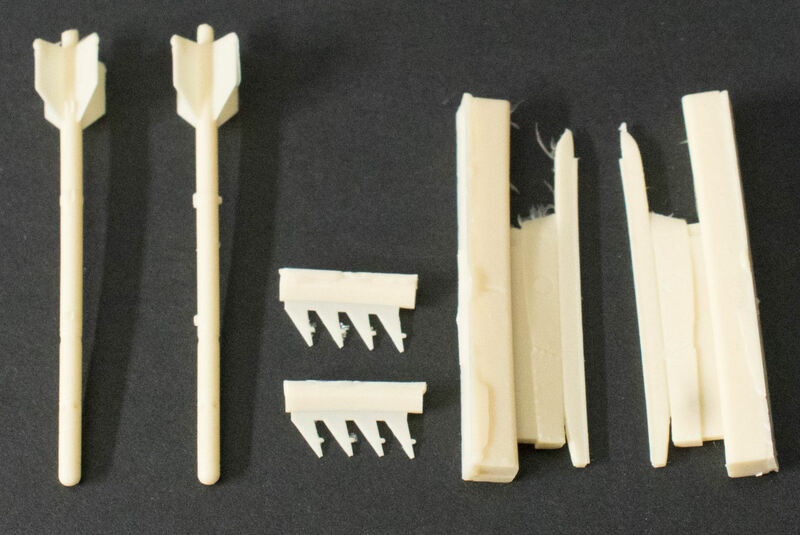 This set consists of two AIM-9B airframes, two sets of forward guidance fins, and two CES-3 pylons with Aero 3 missile rails as used on the Mirage III and Mirage V. If you're looking for a pair of nice heaters for your next Mirage project, this set is just what you're looking for! My sincere thanks to PJ Production for this review sample!